Which image first comes to mind when you think of Vietnamese phở? A hot bowl of rice noodles in beef-bone broth, served with various additives that differ depending on geographical origin? Well, there are far more wonderful dishes made from bánh phở than you may think. Due to its versatility and popularity, Vietnamese eat phở at any time of the day almost every day. However, there is nonstop discussion among Vietnamese over which phở tastes better, the Northern or Southern version? It only takes one look at a bowl of phở to recognise its origin. Phở is believed to have originated in Northern Vietnam. 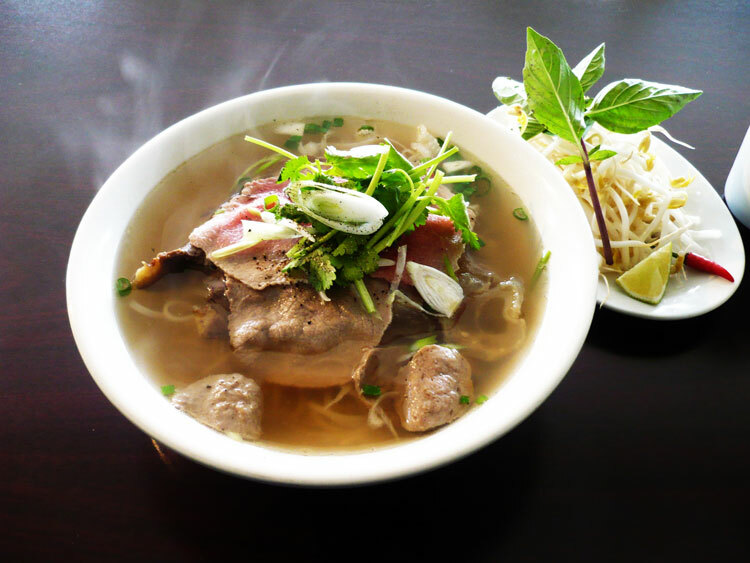 Primarily, Northern phở has an intense and delicate flavour due to its clear and simple broth. Beside the beef bone, anise, cloves and cinnamon harmonised into one subtle undertone flavour, Hanoians prefer eating phở tái (rare beef)—phở served with thinly sliced rare beef cooked quickly in the hot broth. Condiments such as green onions, thinly sliced white onion, chopped cilantro or mint are put on top rather than served alongside. 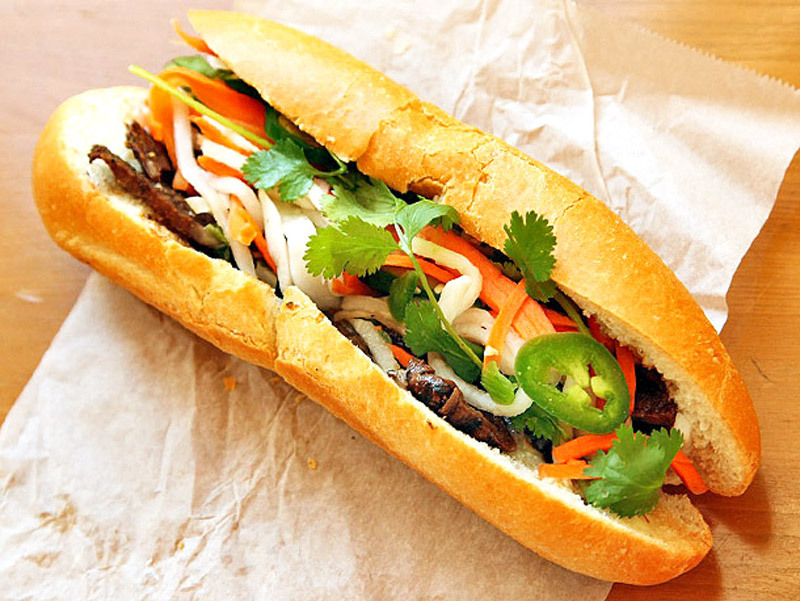 Phở Bắc is known for its simplicity. 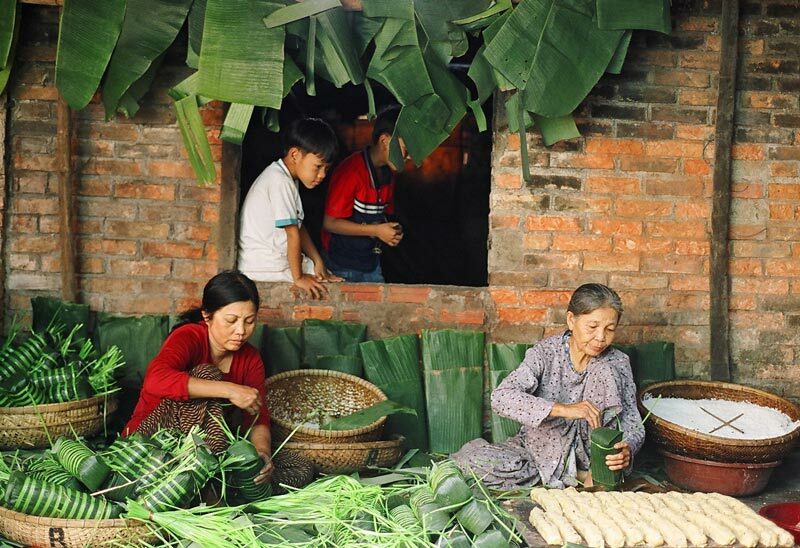 In Southern Vietnam, with its abundant produce, herbs and other ingredients are used liberally in cooking. The Southern phở is often served in bigger bowls, with loads of garnish — mint, cilantro, rice paddy herb, sawtooth herb, bean sprouts, lime, chilli, basil and hoisin sauce, for instance. The broth is even prepared with other ingredients such as chicken or tripe. While Hanoians prefer a dish with a broth-based soup, Saigonese are much likelier to prefer a well self-seasoned one, using hoisin sauce, Thai basil, veggies, lime, green onions, mint, cilantro and bean sprouts, and the optional chilli or sriracha sauce to enrich the broth’s flavour. 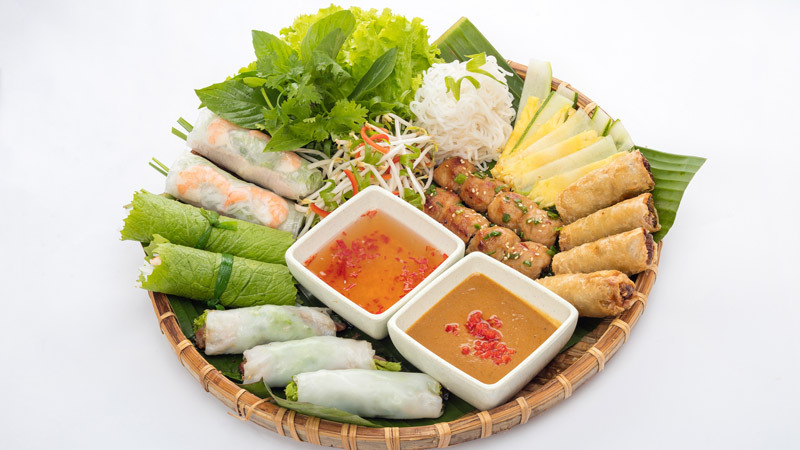 Phở Nam with lavish condiments served alongside. Apart from the famous rice noodle soup, there are six popular phở options you should definitely try. If you are looking for a lighter version of phở, go for phở gà. This dish is said to have emerged in 1930s in response to a government ban on slaughtering cows. 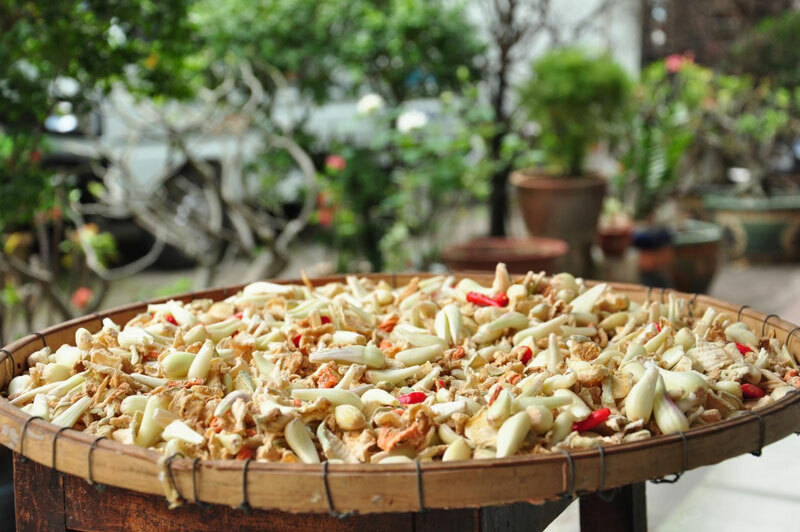 Over the years it was finally recognised as one of Vietnam’s specialities. Nowadays, many eatery shophouses serve phở gà exclusively. The broth is clear, light and gently flavoured with a slight pepperiness. It is not particularly fragrant, relying on the condiments and herbs for complexity of flavour. Each bowl is served with a little plate of Thai basil, curls of shredded morning glory and bean sprouts. Phở Gà with with its clear broth, topped with curls of shredded morning glory and bean sprouts. Turn left from Ky Dong Street into Hem 14 and head down to number five; there’s a real sense of industry here, the shop is likely to be full. Good dishes always take time. 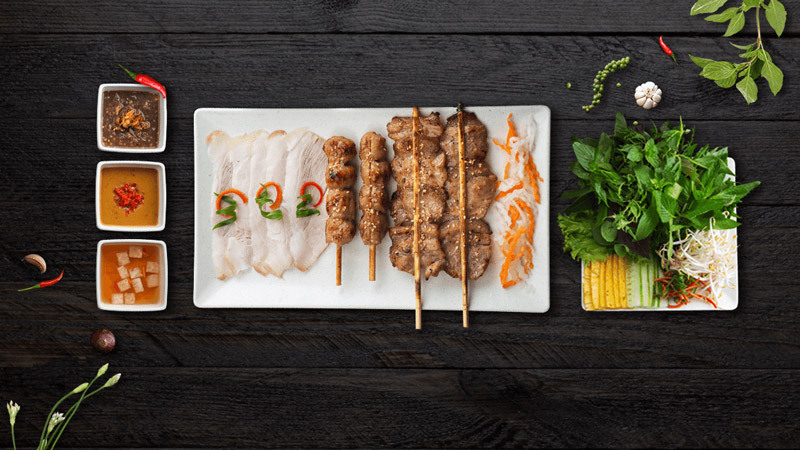 You can order your broth with customised options such as hủ tiếu, bún, mì trụng, mì gói or bánh phở. Don’t forget to order a cup of cà phê sữa đá (Vietnamese milk coffee) and enjoy your meal. At first sight, it is a simple dish, made from fried rice noodles with beef, loads of oyster-like bean sprouts, onions and spring onions. Dark soy sauce is added to give the noodles their attractive and intense brown colour. What makes this simple dish stand out is probably the smoky flavour. 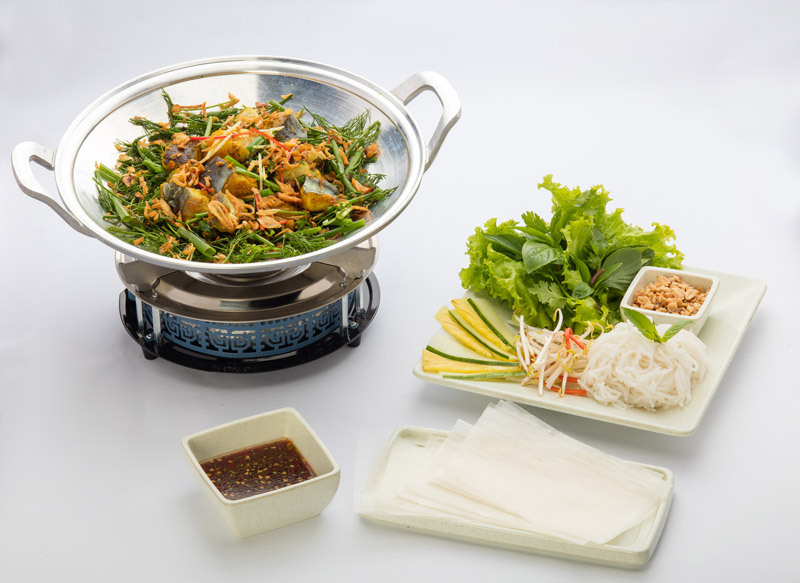 To get that special flavour, the dish needs preparing in a very hot wok by a skilled cook. 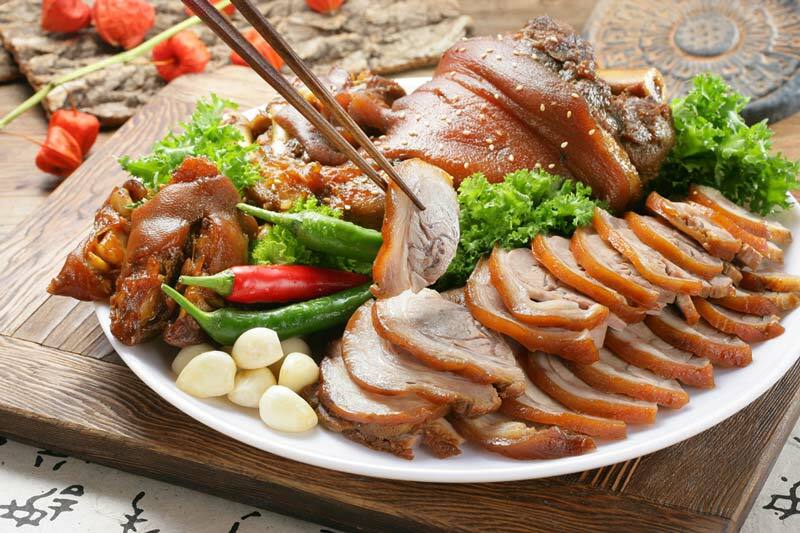 In case you don’t want beef, there are also options with chicken or shrimp and even pork. Phở xào bò, with its attractive and intense brown colour. We ordered a dish of stir-fried phở with beef in Bat Dan shophouse eatery, which we accidentally bumped into when strolling down Mieu Noi Street. The dish’s quality was way beyond our expectation and the owners were also very friendly. The price was clearly posted up on the menu so we didn’t have to worry about being ripped off. Price: Normally, a dish of Phở xào costs around VND45.000. Phở cuốn is probably a perfect choice if you are on a diet. 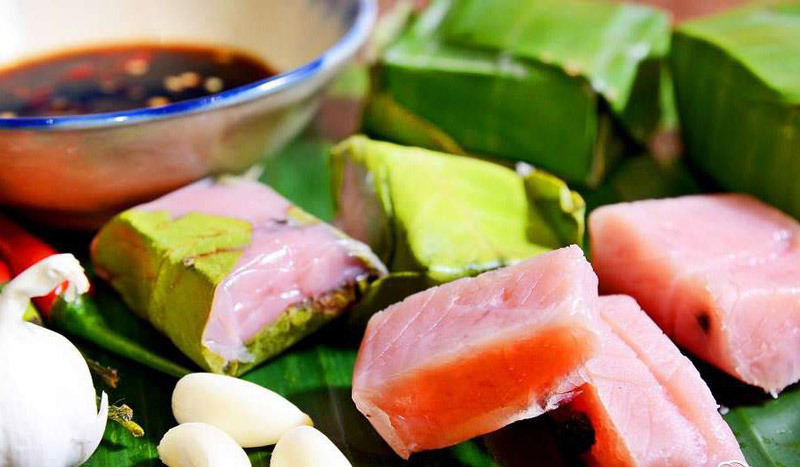 It is considered the healthiest option among all types of phở, and became a part of Hanoi cuisine in the last two decades. 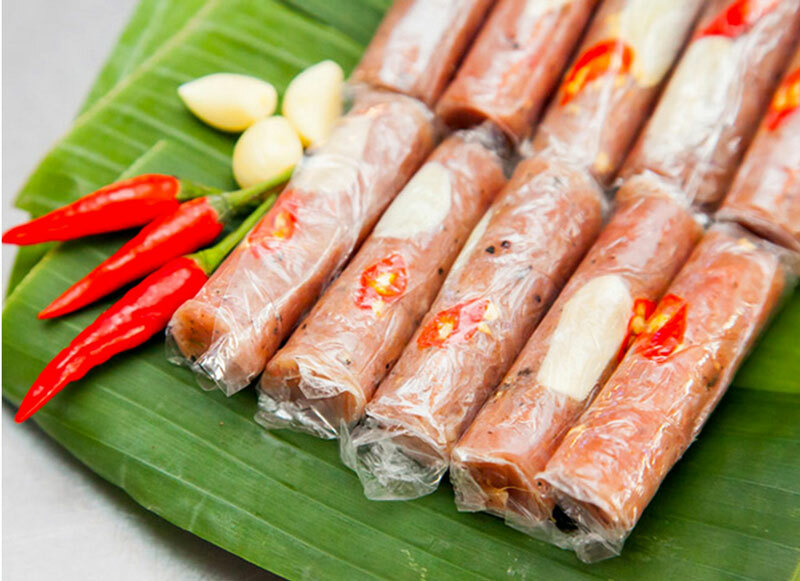 In order to make phở cuốn, Vietnamese people use uncut sheets of bánh phở to roll with beef, lettuce, and other spice veggies. 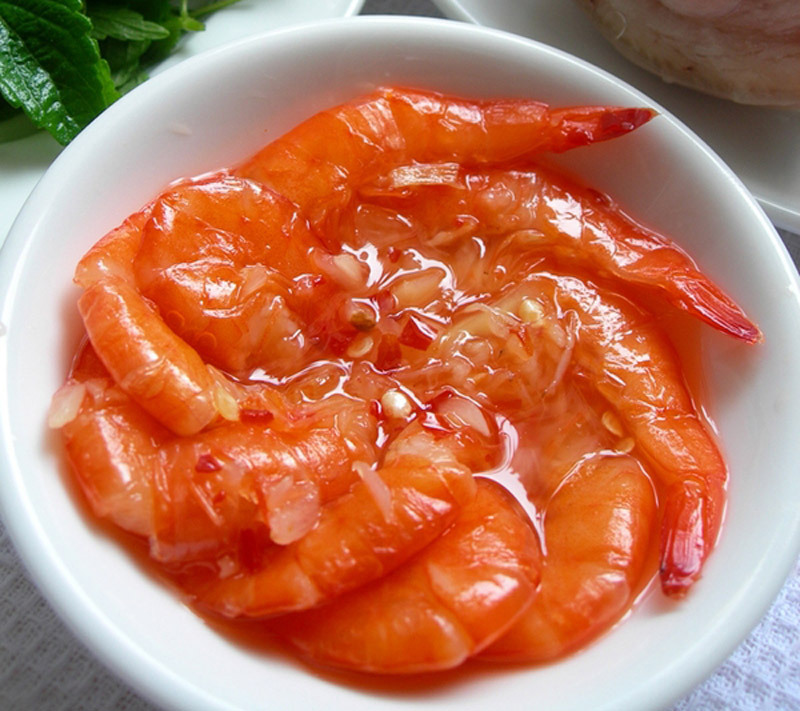 A highlight of phở cuốn is the light sauce made of fish sauce, vinegar, sugar, garlic and chili served alongside. Phở cuốn is considered the healthiest option among all types of Phở. 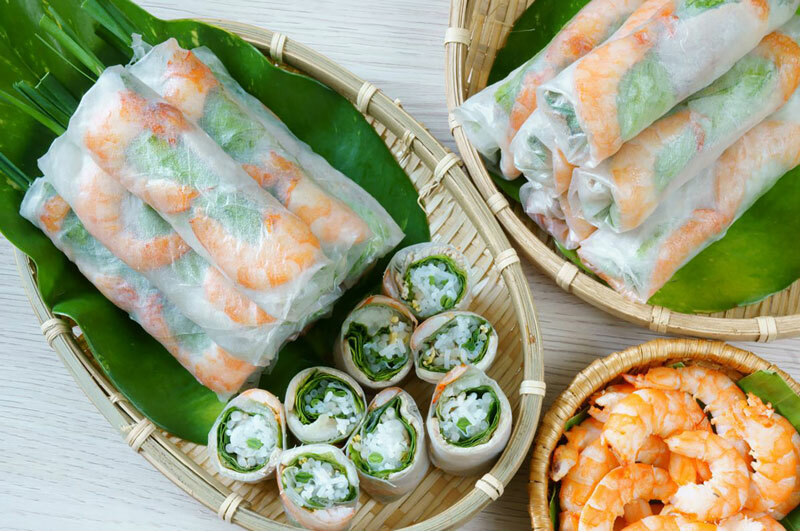 Local insight: We also ordered a dish of Vietnamese spring rolls (nem or chả giò) with the phở cuốn, definitely a perfect combination. If this is your first visit to Ngu Xa street, you might get annoyed by the enthusiastic staff of the shophouse eateries here. The solution is to search for one shop that you like/are recommended and stick to it. The phở most favoured by foreigners is probably phở chiên phồng, which looks like piles of fried pillows topped with saucy meat and greens. Small stacks of bánh phở, which is slightly larger than a postage stamp, are tossed in a wok with bubbling hot oil until they transform into golden and crispy cushions. These cushions are then scattered on a plate and smothered in thick sauce, fried beef, green broccoli or lettuce. 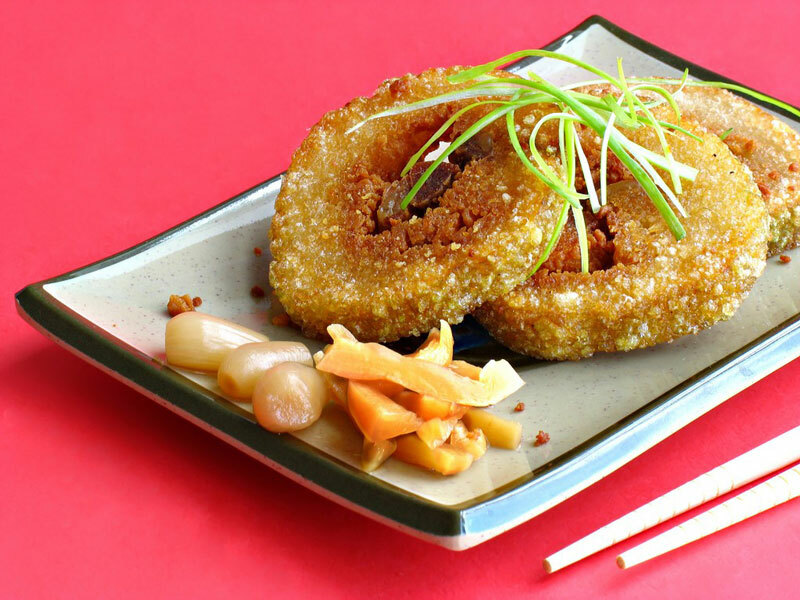 The crispy crunch of fried noodles, a brittle of beef, the natural sweetness from veggies and the tasty sauce make this a memorable experience. Phở chiên phồng is popular among foreigners. Local insight: If you can’t decide what to eat, order different dishes and share them with friends. Don’t hesitate to ask for personal bowls, the staff are more than willing to provide them. 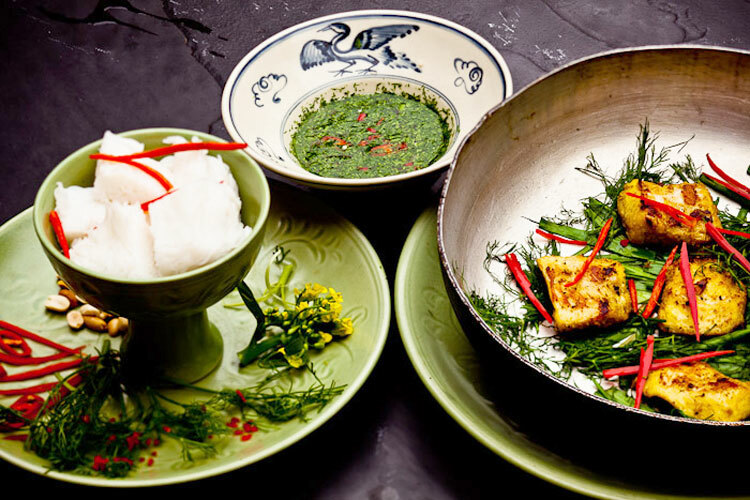 Not complex or classy, this dish captures the different cultures of Northern Vietnam. A delicious bowl of phở chua contains six main ingredients: noodles, sour sauce, pickles, peanuts and Northern sauce. 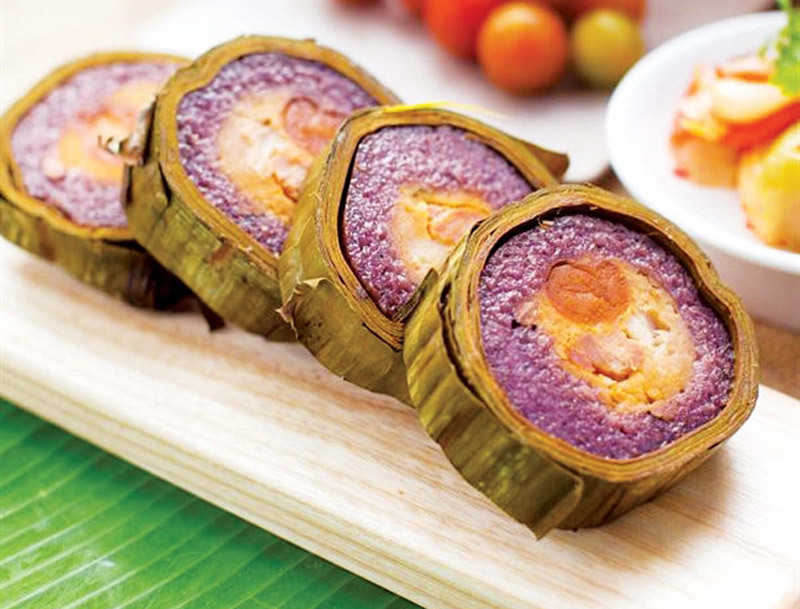 For delicious noodles, choose the “pink rice” which is mostly planted in the Northwest region. The sour sauce is taken from the pickle jar. Phở chua is more delicious if it is paired with the chili sauce favoured by the Northern people. 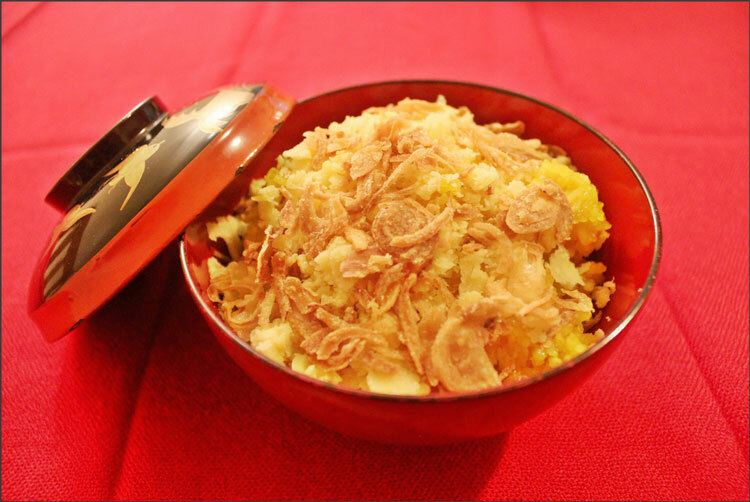 Local insight: You might not like this dish at first, but you’ll change your mind as you become more familiar with it. Flat rice noodles, a pork chop, herbs, peanuts and dried scallions are added to a bowl before a spoonful of sour sauce is sprinkled on top, giving this dish an extraordinary taste. The sauce is the key ingredient: no rice noodle salad is complete without it. That’s why vendors distinguish themselves by owning a “secret” recipe. 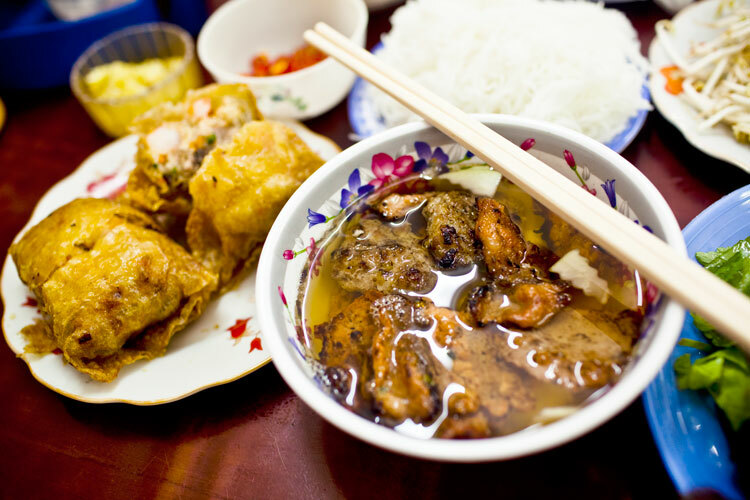 It is likely you’ll never experience the same flavour of this dish in Hanoi. 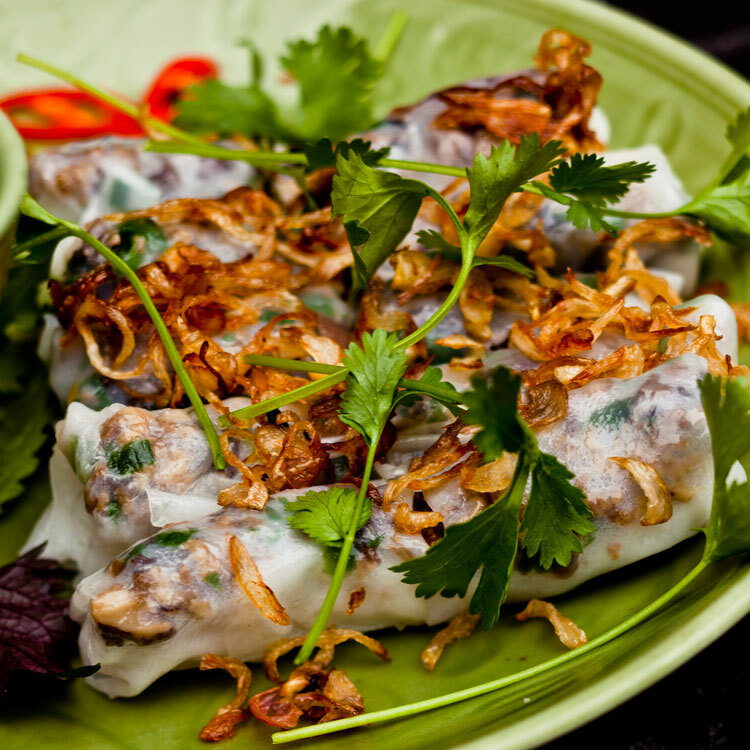 Phở trộn is beautifully topped with pork chops, herbs, peanuts and dried scallions. Local insight: The sour sauce already lightens the flavour, but some people prefer drizzling a little less juice over the meat. Mix everything together and enjoy! Want to experience something more out of the ordinary? 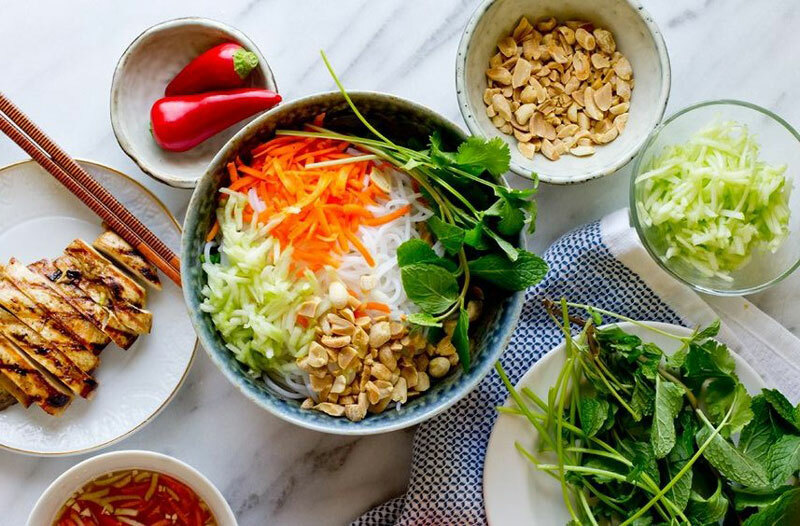 Check these dishes created by phở lovers around the world. A phở option for fast-food lovers. Eat it like a burger but get the taste of phở. Burger phở is made with deep-fried rice-noodle buns, Vietnamese-style coleslaw and juicy fried beef. The side servings are a fragrant phở stock with strong notes of roasted small spring onion, along with a dipping bowl of Hoisin and Sriracha sauce. Burger Phở looks like a fantastic combination of phở ingredients in burger form. Phorrito gives Vietnamese food a Mexican twist. Made with thinly sliced rib-eye steak, bean sprouts, cilantro, onions, Thai basil, jalapeño, lime juice and phở noodles, the burrito is wrapped in a large flour tortilla and served with sriracha and hoisin sauce. It tastes surprisingly like a bowl of phở. What's phở stuffed into a burrito called? A phoritto! An interesting harmony of Italian and Vietnamese cuisine, pho pizza with its crispy base is made with deep-fried rice noodles topped with stir-fried beef and veggies. Sprinkle some pepper, fried shallots and chili slices on top and that’s it. Pho pizza best served while it’s hot and the base is still crispy. An interesting combination of Italian and Vietnamese cuisine, phở pizza.